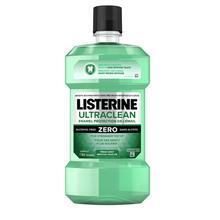 LISTERINE ULTRACLEAN® ENAMEL PROTECTION Antiseptic Mouthwash is rated 4.6 out of 5 by 140. It’s great news when you hear your dentist declare “no cavities”. Help get the reaction you want with LISTERINE ULTRACLEAN® ENAMEL PROTECTION Mouthwash. It strengthens teeth to prevent cavities. It also kills up to 99.9% of germs in your mouth, preventing and reducing plaque and gingivitis. It’s an easy way to reduce the incidence of cavities and make your dentist proud! Adults and children 12 years and older: Rinse full strength with 20 mL for 30 seconds twice a day. DO NOT SWALLOW. Do not eat or drink for 30 minutes after use. 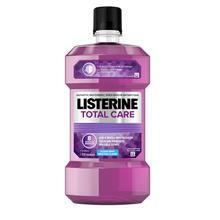 Rated 5 out of 5 by Tej08 from Great Mouthwash I use this once or twice a day. It makes my mouth feel so fresh. Rated 5 out of 5 by tomotomo3 from Great Cavity Protection This product offers great cavity protection. Rated 4 out of 5 by sunworshiper from Refreshing Use this twice a day and makes my mouth feel refreshed. 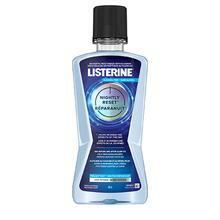 Rated 3 out of 5 by Loiloi from Not bad You won't go wrong with listerine. Rated 5 out of 5 by Anglewings from Kill those Germs with Listerine ultraclean. 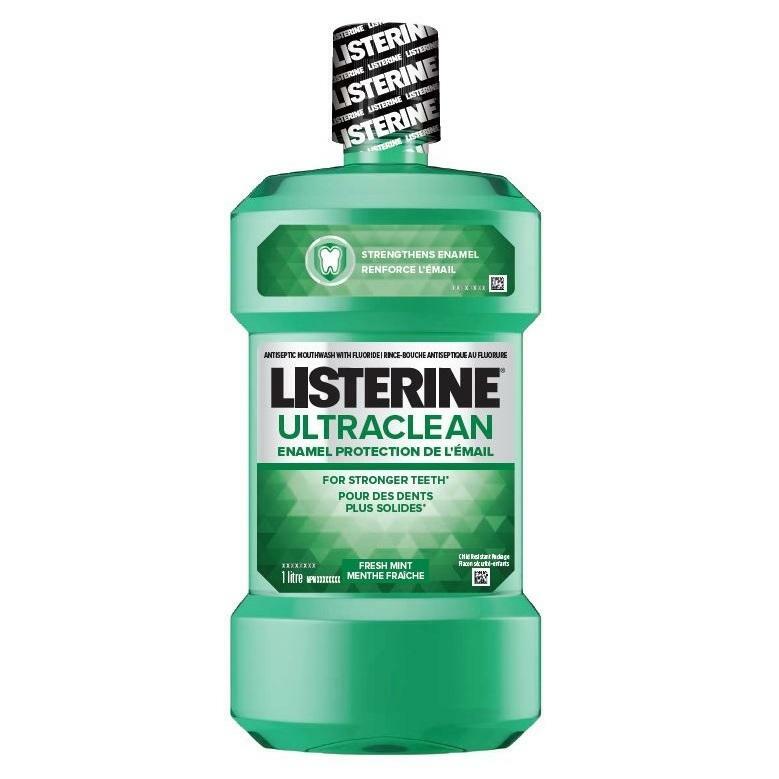 One of thee best products on the shelves today for taking care of your Teeth,Breath and prevent Cavities is Listerine Ultraclean (TM) Anti-Cavity.It only costs a couple of dollars to buy and for what it can do for your Mouth,is well worth having in the house.I always keep a bottle in my medicine cabinet and there is always an extra bottle in the linen closet.You can spend as much time as you like brushing but,to really get a good deep clean,use Listering.It gets into places a toothbrush can't get and it will clean and kill 99% of all Germs that lerk in there.Listerine can help strengthen your tooth enamel While helping prevent cavities from coming.I brush and then I use Listerine ultraclean Anti-Cavity at least twice a day and sometimes if I can't brush,I'll use the Listerine anyway.A good source of preventative Cavities and bad breath that can happen.I strongly recommend this product. Rated 4 out of 5 by exte24 from good taste not bad taste I just found is little bit too much mint taste in.